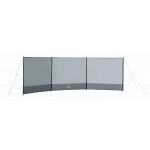 This is a new high quality windbreak/windjammer (it's got its own headphones) that has been specially designed for the caravan market. 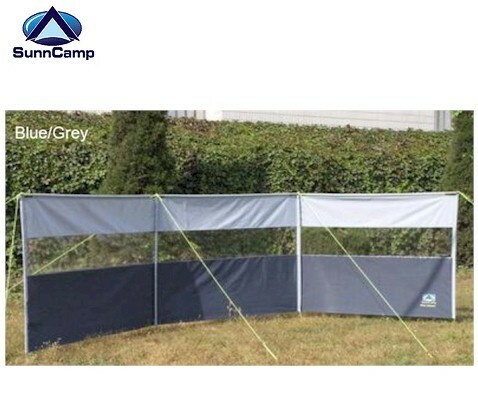 As opposed to conventional windbreaks which are made with steel poles and polyester fabric, these are made with an aluminium frame and dyed acrylic fabric to match most caravan awnings. 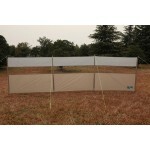 In addition, to give that extra strength to this windjammer, there are aluminium top ridge poles. 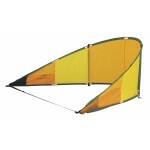 Hi-viz guy lines and a sturdy carry bag are included. 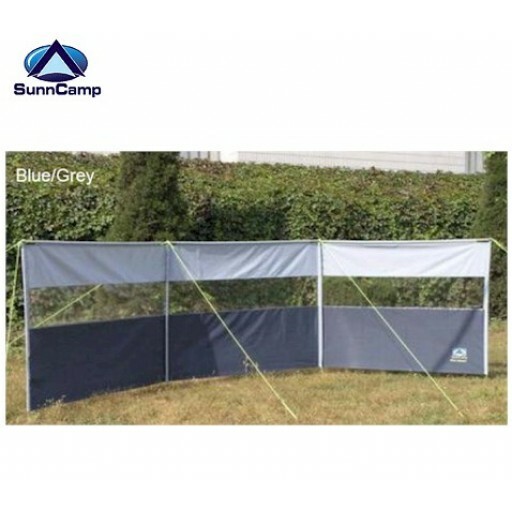 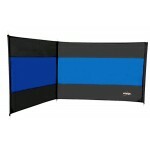 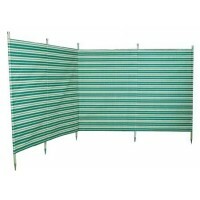 Sunncamp Acrylic Caravan Awning Windbreak.